Hey everyone! While I'd love to crank my amp to 11 and shred, the 700sq ft my wife and I share doesn't do much to dampen sound. I typically play through my Katana 50 at 0.5W at pretty mid-volume, but when I'm working on anything up the fretboard (especially bending) my poor wife is stuck hearing every bit of it. The Katana50 has a headphone out and I'd like to have a decent set of headphones so I can practice without driving her crazy. Any advice would be helpful! I also own a Katana 50. For headphones, I would reccomend MPOW. They make great budget headphones with great sound quality. I am using my Beyerdynamic DT 240 as mobile Headphones and for my guitar amp they sound great and are not to expensive. 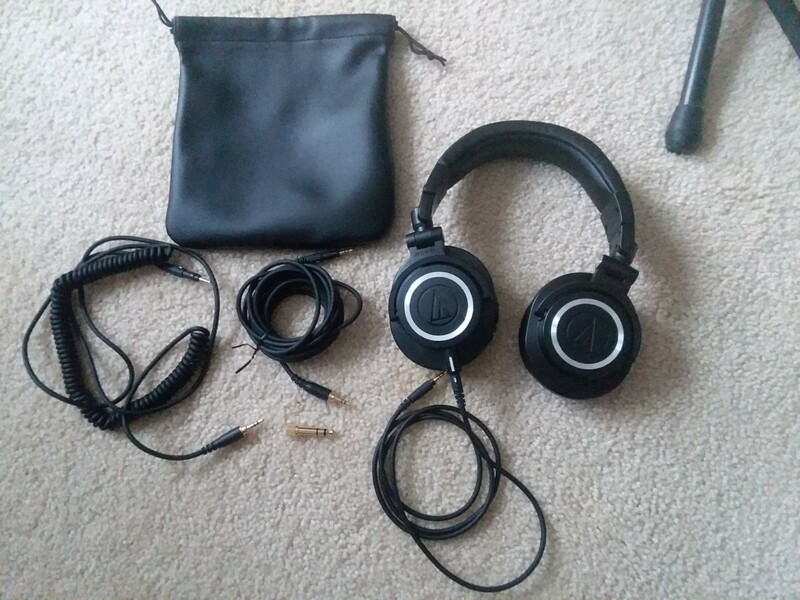 I just recently bought a pair of AKG K240 Studio headphones (55 ohms). Really great pair of headphones to start with. Nice flat EQ, so you really hear your mix. Not sure if this is still an active thread but after I bought my Helix LT, I wanted to get a good set of headphones so it wouldn't sound like garbage when I went to silent practice. I mean if you plug in a pair of earbuds, it doesn't matter that you have an incredible Helix or Fractal or Kemper it's not going to sound good. So I set out to research the best set I could get that wasn't going to be too expensive. After visiting A LOT of chats & groups I'm part of on FB - I decided on the audio-technica ATH-M50x and I recommend them highly to anyone looking for a good pair of quality headphones that have excellent bass response & high-end clarity. These are found in a lot of studios & have an excellent reputation. You will not be disappointed plugging these into your digital platform whether it's a Helix LT or something else. These are high quality & built great. I really dig the removable cable. It comes with a leather bag & 3 different lengths of cable & has the 1/4" adapter that screws on the end of the cable instead of just plugging it in.